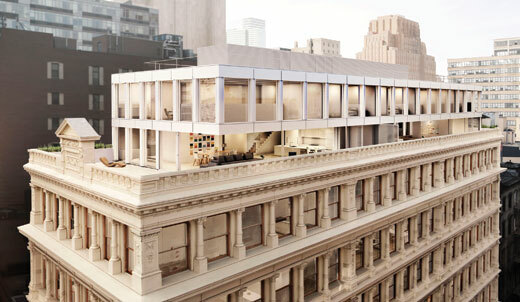 Located in the highly sought after residential neighborhood of Tribeca, a landmark building is currently being reimagined by world-renowned Japanese architect Shigeru Ban. 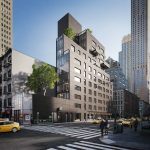 The 1882 structure, now known as Cast Iron House, sits at 67 Franklin Street and offers 13 duplex residences custom designed by the 2014 Pritzker Architecture Prize winner. The building stands as a quintessential example of cast iron architecture and features an ornate façade that has been meticulously recast and restored during the building’s conversion process. While its exterior references late 19th century architecture, Cast Iron House’s residential interiors feature a modern design with both thoughtful and fluid layouts. 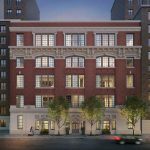 Cast Iron House consists of 11 interior duplex residences, and 2 newly constructed duplex penthouses that appear to float above the landmarked structure. 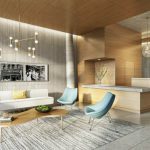 Each three- to five-bedroom home opens into expansive kitchen, dining and living spaces, while an upper level offers ultimate privacy with bedrooms located away from the home’s main living spaces. Ranging in height from approximately 17 to 25 feet, living room spaces exhibit cathedral-style double-height ceilings that offer dramatic light and large walls perfect for displaying artwork. 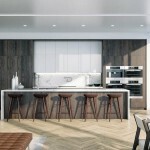 Additionally distinctive, residential kitchens, living rooms and bedrooms have custom designed cabinetry by Shigeru Ban in a matte finished white lacquer. The building’s penthouses, which were designed to integrate with the existing structure, include a two-story addition that was achieved through the use of a steel cantilevered Vierendeel truss. Through the use of the truss, the penthouse additions appear as a single storied structure when seen from street level. 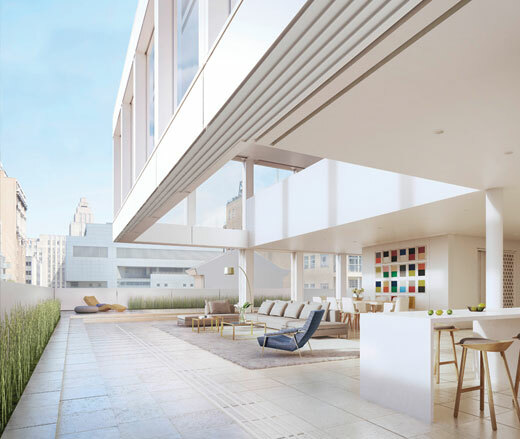 In additional to offering open layouts, both penthouses have telescoping glass walls that allow for a continuous expanse from interior space to outdoor space. Cast Iron House’s curated amenities include an exercise room, dance and yoga room, residents’ lounge, game room, children’s room, hydrotherapy spa with sauna, steam room and specialty water features, and a private treatment room. Private storage is also allotted to purchasers within the building. 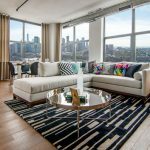 Residences within this architecturally significant building range from $5 million to $15 million, and from 2,850 square-foot, three-bedroom interior duplexes to a 4,890 square-foot five-bedroom penthouse with 1,430 square feet of private outdoor space.